Behind every tree is a person who planted it and cares for it. While much of our work focuses on restoring Baltimore’s urban tree canopy to improve the health of city residents, we also know that many capable residents are currently unemployed. 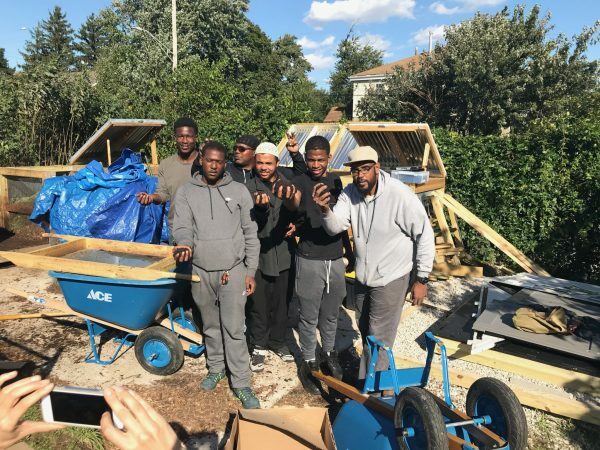 Our pilot workforce development program, the Urban Roots Apprenticeship, seeks to connect the dots between city residents and the tree care and landscape industries, which are greatly in need of a strong workforce. 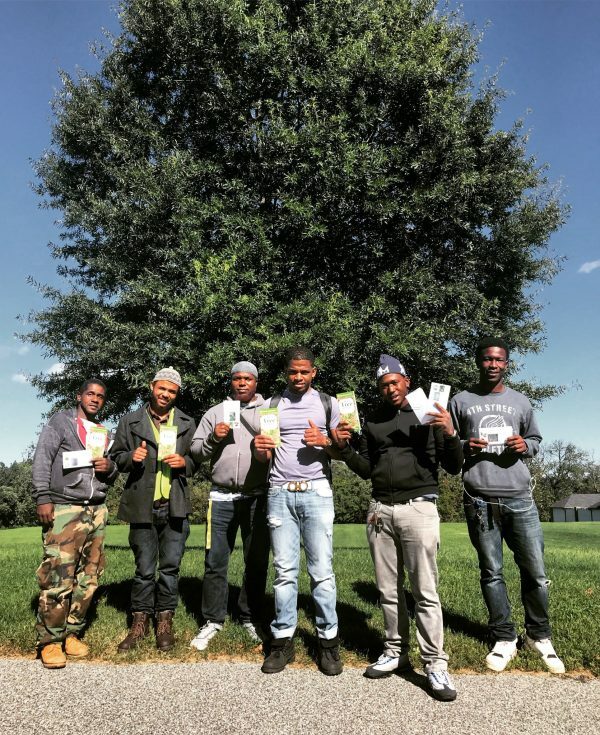 The Urban Roots Apprenticeship recruits, trains, mentors and connects Baltimoreans to successful careers in the tree care and landscaping industries. Working with the Center for Urban Families Strive Program to identify candidates ready for environmental career opportunities, we work to lessen the barriers between green jobs and those interested in them. We partner with many organizations and companies to provide a thoughtful and comprehensive curriculum, basing our programming on other similar and successful models. These partners and presenters include, but are not limited to: Bartlett Tree Experts, Ayers Saint Gross, Baltimore Green Space, Blue Water Baltimore, Natural Concerns, Davey Trees, Design with Nature, Ruppert Landscape, American Landscape Institute and the Baltimore Compost Collective. Through the Center for Urban Families, apprentices have access to wrap-around services, like obtaining a GED or a driver’s license. We also pair apprentices with a mentor for more support over the 6-week training. Apprentices who successfully graduate from the program will be supported with job placement in the fields of landscaping or tree care. The tree care and landscape industry provides more than just a job–it can be a lifelong, lucrative career for our URA graduates. We work hard to expose this path to our apprentices, and coordinate ample face time with potential employers over the course of the 6-week apprenticeship. Our employer partners include Ruppert Landscape, Bartlett Tree Experts, Davey Trees, Design with Nature and Natural Concerns, whose representatives lead different workshops throughout the training, as well as hire graduates. Once candidates are placed in these companies, they can move up the ladder to make upwards of $50,000 a year. Baltimore Tree Trust stays in contact with apprentices and employers for up to one year after graduation to offer any support that may be needed. To learn more about hiring an apprentice through us, teaching or leading a URA workshop, mentoring an apprentice in tree care or landscaping, or enrolling as an apprentice, please reach out to Sara Gaul at sara@baltimoretreetrust.org or 412-956-1554.